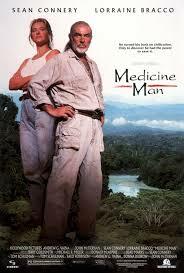 Medicine Man is an American film made in 1992. The film is set in Brazil. It’s a drama film, where a woman had to face up to modern civilization…She defended the Amanzon rainforest and found that one she had the power to save it. The plot is about Doctor Robert Campbell who lives in the Amazon rainforest. Campbell accidentally discovers a flower that cures cancer. He resquests help at the pharmeceutical company, where the researcher Rae Cranes works. She arrives at the house-laboratory, where he lives accompanied by a tribe of natives. The acting is brilliant. There are excellent actors in it. The soundtrack is very good. The main characters are Sean Connery and Lorraine Bracco. He is well-known for his parts as James Bond and Indiana Jones. She is well-known for her roles in Karen Hill in Goodfellas and Jennifer Melfi in the award-winning series of HBO the Soprano. The plot is about Doctor Robert Campbell who lives in the Amazon rainforest. Campbell accidentally a flower a flower that cures cancer. He resquests help at the pharmeceutical company, where the researcher Rae Cranes works. She arrives at the house-laboratory, where he lives accompanied by a tribe of natives. Noma Jeane Mortenson was American. She was born on June 1s , 1926, in Los Angeles. She was later baptized Norma Jeane Baker. Several years later she changed her name to Marylin Monroe. She died in 1962. She was a model and the most famous actress of the 20th century. She Started her career as photographic model and signed her first contract in 1946. She began to play short appearances in low budget films. The first prominent performances were in the films: The Asphal Jungle (1950) and All About Eve (1950). She played the main main roles in the comdies: How To Marry A Millionaire (1953), The Seven Year Itch (1955) and Bus Stop (1956). 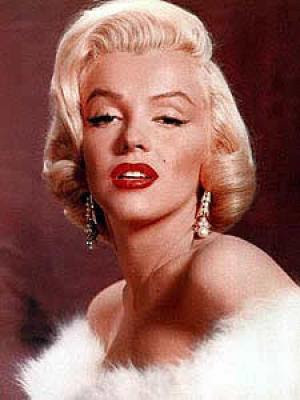 Her greatest commercial sucess was Some Like It Hot (1959), winning the Global Globe fot the best comedy actres. She was relatively normal height. She was slim. She had an oval face and thick eyebrows. She was fair-skinned. She had got big blue eyes and short noise. She had a good skin. She had s mole on her cheek. Her hair was short, curly and blonde.